best hide ip software featuresChange Your IP Address – Just click "Connect" and your IP is instantly hidden! Internet will see your fake IP, which is not associated with your real IP. How It Works. Change Your Location – Our servers located in the world, you can easily connect to the different country servers. Each time you press the 'Connect' button, you will fake as this country's IP. If you want to change country, just press the "Connect" button again. Encrypt ALL Transfer Data – Encrypts all inbound and outbound connections (include UDP data) using the industry standard RSA 1024 and RC4 128 bit, It's very safely. Even if your ISP or some other third party is monitoring your communications they will have no idea what you are connecting to and what your transfer data. Unique Support HTTP Tunnel – Depend on our auto http tunnel technology (Don't need any setup), you can bypass any firewall and proxy. Even if you in a limited network that use HTTP proxy only allows pure HTTP get or post html (Such as school network), Hide ALL IP still works, play games and videos is also possible. What's http tunnel?. Unique Have Portable Version – We also provide a portable version Hide ALL IP, not need install, can be run from removable media such as USB stick, floppy, etc… and not need admin rights. Can use it at some limit network environment. 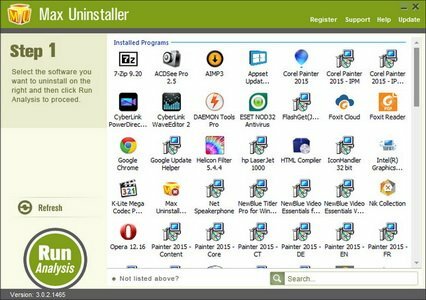 Safely Browse Technology – With our safely browse technology, now you don't need clear cookies or history every time when you quit, because all these will direct support, no any cookies or history left at your disks, all in memory, when you quit browsers, they will auto disappear. Don't be fooled by the name "Mini"! The DameWare Mini Remote Control (DMRC) program is loaded with numerous features to help IT professionals get the most out of remote control connectivity. Unlike other Remote Control programs, the installation of the Mini Remote Control Client Agent does not replace any existing Operating System files, which also eliminates the need for a reboot of the remote machine when connecting. By simply using Microsoft Windows API calls to interact with the local and remote machines, the Mini Remote Control is considered to be the most lightweight and independent remote control application on the market. Hence the term "Mini." The Mini Remote Control program offers quick and easy "on the fly" deployment of its client agent service to remote machines. * Giving an administrator the ability to remotely install the client agent service eliminates the need to physically visit the remote machine to install the software. This gives administrators the unique ability to remote control any machine on the LAN or WAN (across town, across the country, or even around the world) in a matter of seconds. The Mini Remote Control includes extensive features with regard to security and encryption, including multiple authentication methods primarily designed to use the Operating System's built-in security. It also offers additional options of encrypting all communications between the remote and local machines, taking advantage of today's standards for Encryption, Hashing, and Key Exchange. Version 5.5 and above of the DameWare Mini Remote Control program is also the only known third-party remote administration tool with the ability to perform an Interactive Smart Card Login as well as Remote Smart Card Authentication, using a Smart Card and PIN from your local machine. This also does not require any type of Smart Card Middleware, nor does it even require a Smart Card reader installed on the remote machine. With tons of settings and features, the Mini Remote Control can be customized to fit your network environment. The Mini Remote Control makes the NT Utilities software suite the ultimate administrative tool for managing Windows based networks. No network is too big or too small for the DameWare Mini Remote Control. The DameWare Mini Remote Control program provides a multitude of convenient features to help you accomplish your IT goals remotely. Below is a few highlights of what you can do with the MRC software. If you are looking for a specific feature within our software, then please let us know at support@dameware.com and we will be happy to provide you with any additional information we have about that specific functionality. Ability to connect via Mini Remote style connection, or RDP (Remote Desktop Protocol) style connection. Outside of the features and ease of use, we believe the other major advantages of DameWare software is how it is licensed, and how it is supported. All DameWare software is licensed per user, not per machine or installation. This allows one individually licensed user to provide remote support to unlimited remote machines. Also, we take pride in the level and timeliness of our technical support, specifically in how we respond to support requests, produce hotfixes, and add new features into the already feature-rich software. Support is also provided free of charge via email at support@dameware.com even before you decide to purchase the software. With that said, feel free to download the software and try it out to see if the DameWare Mini Remote Control meets your needs. Take advantage of the 30-day free trial so you can try it out in your environment before you decide to purchase it. 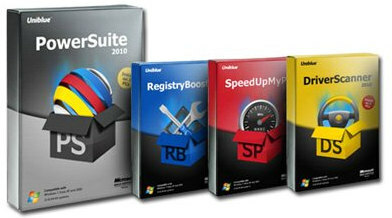 You can download the latest version of our software at http://www.dameware.com/downloads. So go ahead and download the 30-day evaluation today, and find out how easy your life can be when you start to "do IT Remotely". C-Organizer Professional is a beautiful and powerful personal information manager. The program can help you organize and plan your business and personal life. In short, this is a Planner, Address Book, Password and Bookmark manager, Notebook, and a Calendar of Events combined into one powerful, easy-to-use application. All data can be shared in real-time on a network. You and your assistant can be in using your calendar at the same time! Moreover, you can synchronize your C-Organizer Appointments, Tasks and Address book with your Pocket PC or Palm device! C-Organizer is a personal information manager with elegant design and all the necessary features: it lets you plan your day, set alarms and keep and address book with photos. Also this program includes a notebook. C-Organizer easy to use interface includes a monthly calendar and buttons that switch among Task List mode, Alarms mode, Address Book and Notes mode. The tool is always accessible from the system tray icon. • C-Organizer supports various interface types and color schemes. • All data can be shared in real-time on a network. • Synchronization with Pocket PC / Smart Phone. • Printing with configurable templates. 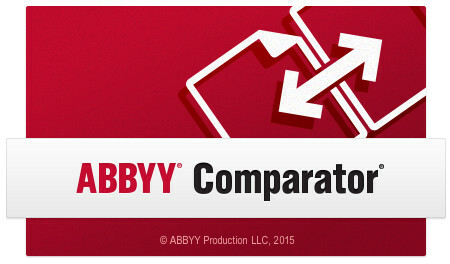 Ability to export the print reports into RTF or HTML file. • Built – in print templates editor. • Notification system with a capability to automatically open documents, restart or shut down computer at any set time. • Ability to show any entries as electronic "sticky" notes on computer's monitor. • Minimization to the system tray. • The Advanced Diary support. 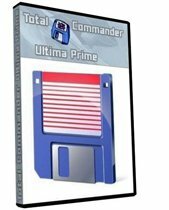 You can open this program using C-Organizer's main menu commands. • Easily visible (bold font) display of the days that have appointments scheduled on the program's calendar. • Day, Work Week, Week, Month and Year views are supported in each mode (in the List and in the Time Grid). • Categories support. You can assign a category to any entry and then filter your information by categories. • An ability to assign any predefined or own picture to any folder in the program's tree for better visualization of your information. • Files attachment. You can attach any files to the program entries and keep them directly in the database file. • An ability to print a calendar like report with your appointments. • Option to add the custom date fields with the reminders. 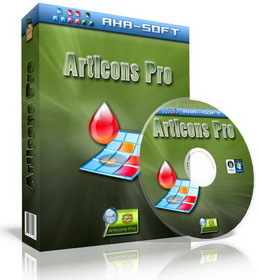 • An ability to send messages to the stored contacts or to the contacts groups. • Extended text editor functions. 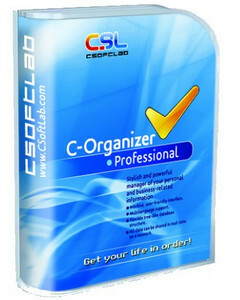 （個人訊息管理程式）CSoftlabs C-Organizer Professional 5.0.1 Final : Windows 98/ME/NT/2000/XP/Vista, Windows 7, Windows 8.